Woohoo! But what does this really mean? And how do you get your money? Ok, lemme break this down for you in plain English. Currently streaming services (otherwise known as DSPs - Digital Service Providers) pay a minimum of 10.5% of their revenue to publishers (and songwriters) in the US. That's why there's no 'per-stream' rate. It's not as simple as a download. Downloads are easy. 1 song is downloaded and 9.1 cents (in America) is owed to the publisher (songwriter). This price is set by the US Copyright Royalty Board. It's called a mechanical royalty. 9.1 cents per download and 10.5% of streaming services revenue. Well, it's a bit more complicated than that and there are some other formulas streaming services use to calculate (like total number of subscribers) yada yada yada. But, for our purposes in understanding what's up, streaming services are now required (by law) to pay publishers (songwriters) more. Ok, why am I putting "(songwriters)" after every time I write "publishers?" As a refresher, publishers represent songwriters. Labels represent artists. Songwriters write compositions. Artists make recordings. Every recording has 2 copyrights. 1 for the sound recording. Some call this the master. And 1 for the composition. Some call this the song. If you record a Bob Dylan song, you own the sound recording. Dylan owns the composition. If you release this recording and it plays on Spotify, Apple Music, Amazon Echo etc, you get paid the sales/streaming revenue for the sound recording from your distributor (DistroKid, CD Baby, AWAL, Symphonic, whoever you used). Dylan's publisher gets paid the mechanical and performance royalties for the composition. And his publisher pays Dylan those royalties. Buuuuuut, unfortunately, this is NOT split 50/50 - sound recording / composition (artist/songwriter). Like I mentioned before, currently streaming services are paying a minimum of 10.5% of their revenue to publishers. This has worked out to be for every $4.76 that streaming services pay labels/distributors, they pay publishers $1. Nearly 5 to 1! Is this fair? Well, labels would argue that they're paying for all marketing and recording costs so they should get paid more. But publishers would argue that they wouldn't have a recording without the song! The Copyright Royalty Board (of the US) just changed the rate! So now instead of 10.5% of the streaming services revenue it's going to increase to 15.1% over the next 5 years. The rate will work out to be $3.82 to $1, labels/distributors to publishers. This is about a 43.8% increase. Ok, so that's good news for songwriters. How do you get this money? Well, this songwriter money is split between mechanical royalties and performance royalties. Again, these are for songwriters (not artists). Remember the distinction? If not, read up a few paragraphs. Most people are familiar with performance royalties. These are collected and paid out by Performing Rights Organizations (PROs): in the US these are ASCAP, BMI, SESAC and Global Music Rights. In Canada its SOCAN. In the UK it's PRS. Most countries have their own. Anyway, PROs do NOT collect mechanical royalties. But yes, you do need to be with a PRO to get your performance royalties. If you aren't signed up with one, pick one and signup! You can only be with one - you can't be with both ASCAP and BMI. You have to pick. If your country only has one, well, the decision is easy. Signup! 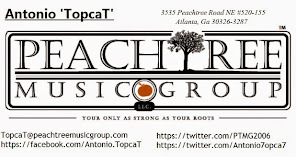 Let me repeat, if you are with ASCAP or BMI, you are NOT getting all of your songwriter royalties. Whaaaaa?! I know, I know. Your world just exploded. So how do you get these other songwriter royalties called mechanical royalties? The ones generated when your song is streamed on Spotify, Apple Music, etc? You need a publisher, admin publishing company or royalty collections company to collect these for you. Yes, technically, the DSP (Digital Service Provider - the streaming service) is required to pay you even if you don't have a publisher, but the thing is, most don't know how to FIND you. Hence all the lawsuits against Spotify and Apple. So make it easy for em. Work with a company who they know. If you distribute with CD Baby, you can opt in to use CD Baby Pro Publishing (however, they will NOT collect your songwriter royalties for songs you write but are distributed by anyone other than CD Baby distribution - like if another artist records your song and releases it themselves). If you use other distributors like DistroKid, AWAL, Symphonic or anyone else, Other companies you can use to collect your mechanical royalties include SongTrust, Kobalt, Tunecore Publishing, Audiam and Sentric Music Publishing. These companies help you collect your mechanical royalties but don't own your copyrights and have fairly short terms. Another big win for songwriters not related to royalties, is Spotify is now listing songwriter and producer credits! On the desktop version, you can command click on a song and click “Show Credits. If your songwriter credits aren't there (or are incorrect) you want to contact your distributor. http://youtu.be/dtK8-94Pibw Pimp C - I Miss You THE PRODUCER: MI$TAENZ a/k/a Donald Brown JR.
All EYES on BRAZIL today. A beautiful place and great people. Learning more about China. A beautiful place and people. 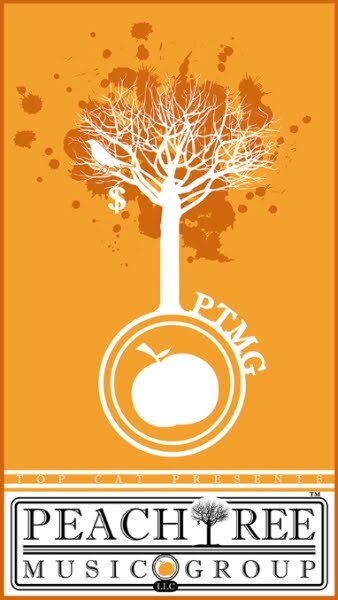 (PTMG) "You're Only As Strong As Your Roots"
PeachTree Music Group 2006. Awesome Inc. theme. Powered by Blogger.